Cory Koedel is an associate professor of economics and public policy at the University of Missouri–Columbia. His research is in the areas of teacher quality and compensation, curriculum evaluation, and the efficacy of higher education institutions. His work has been widely cited in top academic journals in the fields of economics, education and public policy, and he has served on technical advisory and review panels for school districts, state and federal agencies, and non-profit organizations. Dr. Koedel is a co-editor for the Economics of Education Review and serves on the editorial boards for Education Finance and Policy and Educational Evaluation and Policy Analysis. He was awarded the Outstanding Dissertation Award from the American Educational Research Association (Division L) in 2008 and in 2012 he received the Junior Scholar Award from the same group. 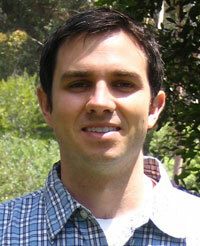 He received his PhD in economics from the University of California, San Diego in 2007.